Surdas, the blind saint and poet, sang about the childhood adventures of Lord Krishna. In 2019, the date of Surdas Jayanthi is May 9. The bhajans that Surdas sang were simple, easy to sing and contained short incidents from the life of Krishna peppered with philosophical teachings and moral lessons. Sursagar is his collection of poetry and is an important literary work that helped in spreading the Bhakti movement in North India. It must be noted that historians and scholars have no one opinion regarding Surdas's birth and death. An Indian postage stamp indicates that Surdas was born in 1479 A D and left his body in 1586. Legend has it that Surdas had the darshan of Lord Krishna in a dream and Krishna asked him to go to Vrindavan. Here he found an able Guru in Shri Vallabhacharya, who was an ardent devotee of Lord Krishna. 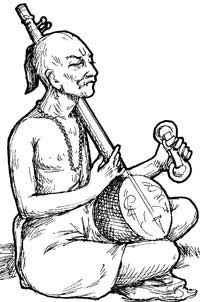 After gaining knowledge of Hindu scriptures, Surdas began to sing devotional songs dedicated to Lord Krishna in Vrindavan. His fame soon reached Mughal courts and Mughal emperor Akbar became his patron. Apart from the monumental literary work, Sur Sagar, Surdas is also noted for other literary works like Sur-Saravali and Sahitya-Lahiri. Surdas was so immersed in Krishna Bhakti that when we read his poems we feel that Surdas was present with Lord Krishna and had a direct knowledge of the Lord’s childhood. Some poems are noted for its moral values and philosophical teachings which are applicable in all ages. His birth anniversary is observed on Vaishakh Shukla Paksha Panchami Tithi.